In this special episode of This Week in Linux, we’re creating the ultimate episode for the ultimate Linux GNews podcast . . . this is episode 42 of This Week in Linux! 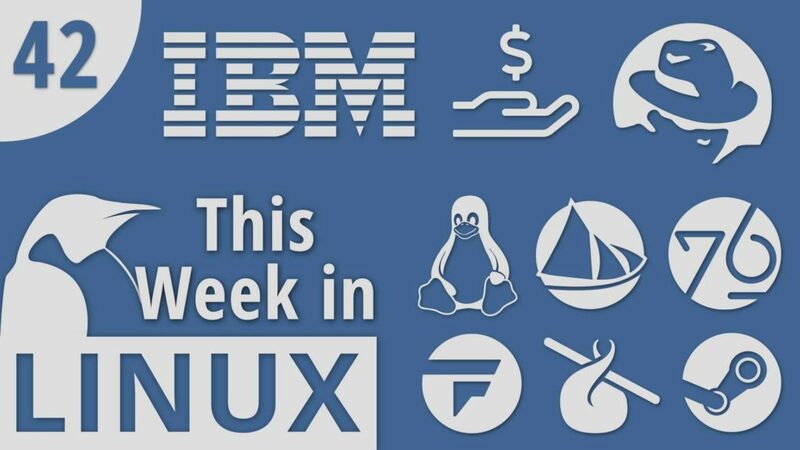 On this episode we cover the release of Linux 4.19, the Return of Linus Torvalds to the Linux kernel, the BIG news of IBM to Acquire Red Hat, the status update news for Solus, and the latest releases for Firefox, Teamviewer and Feren OS. We also take a look at some interesting new Hardware from System76, Pine64 and more. We haven’t had many gaming news the past couple of episodes so we’re fixing that with some awesome news for various Linux Gaming sales from Fanatical, Humble Bundle and Steam. Later in the show we’ll talk about some unfortunate security news from the X.Org project and we’ll have a follow up for the recent Microsoft Patent news. All that and much more!